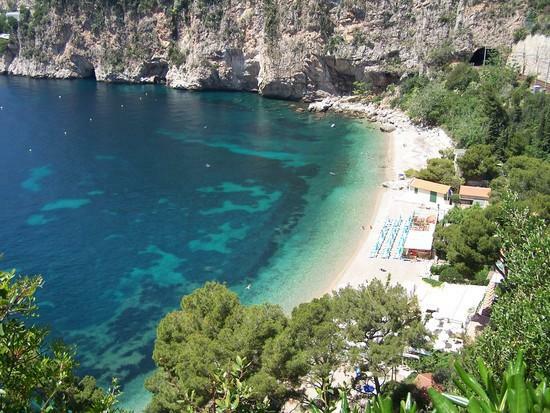 One of my favorite things to do in the South of France is to go for long walks or hikes, especially along one of the many seaside trails, and if it ends up taking me to a beach or two, all the better. 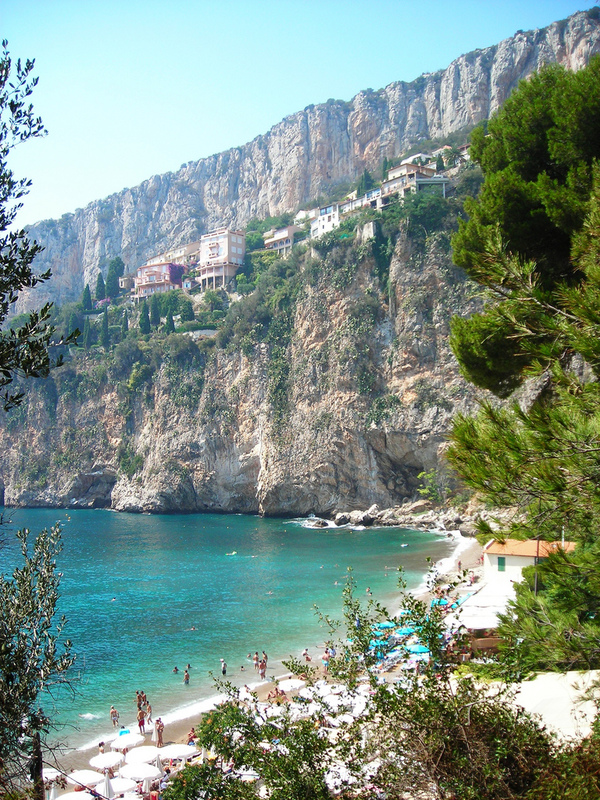 Cap d’Ail near Monaco is one of the best places for just such a trail walk, it is also one of the most calming and beautiful places in the French Riviera. 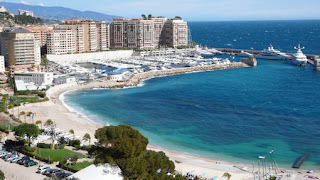 And here you have a couple of options, you can head towards Plage Mala (beach) while taking in all the amazing scenery along the way, and then, if you felt like it, you could follow back along the same Mala coastal footpath (Le Sentier du Littoral) and walk into the Principality of Monaco in no time at all. This is also one of the easiest seaside trails to navigate; the only area that requires a bit more attention is when you are on the last leg towards Mala Beach itself. The end trail section there is snuggled tightly against exquisite estates with plenty of stairs, literally on the edge of the sea, and it is also has some of the most breathtaking scenery. With any walk like this I wouldn’t recommend wearing flip flops, but some good athletic footwear and don’t forget your sunscreen and water as there are no shops close by to pick up such supplies. Arriving to Cap d’Ail by train (the last stop before Monaco coming from the direction of Nice) seems to be the most convenient way to travel as finding a parking spot can take forever, especially during high season. 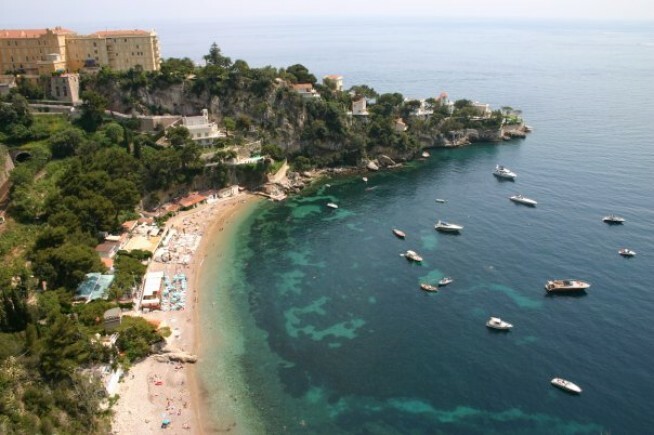 Stepping off the train, you will notice Cap d’Ail is a very quiet, almost heavenly location. Make your way behind the train station and turn left to exit the grounds. You will notice immediately on your left hand side, a sign near some stairs posting the direction towards the trail, just head down the stairs, through the tunnel and go towards the sea. The tunnel may look dodgy but is very safe and for my first visit at least, provided a sense of adventure to see what is on the other side of this very serene area. Once on the other side of the tunnel, you will not be able to miss the footpath along the sea. To head towards Plage Mala, go left towards Restaurant La Pinede and take the public trail down towards the foot path and stay on your right hand side walking west towards the direction of Nice, this will take you to Plage Mala in about 20 minutes to half an hour, depending on how fast you walk. The only thing that might slow you down is stopping to take pictures along the way. If you wanted to go towards Monaco, then once down the walkway from the restaurant, just turn left and it is at minimum, an hour’s walk away but given the beautiful surroundings, it certainly doesn’t feel like it. In either direction you are going to see some interesting vegetation, alongside some wonderfully manicured estates, you will also notice how the rock formations have changed because of the constant pounding of the waves. It should also be noted that if it is a very windy and/or a stormy day, the trail will likely be closed off to the public because the waves tend to crash over the concrete footpath. But back to Plage Mala for a moment, the beach itself is of good size, clean and surrounded by more of that crystal clear Mediterranean blue water. And although this isn’t technically a gay beach, it is certainly gay friendly. I don’t know of any places to hook up with anyone around there, but there are some very short off trails along the whole beach area. All I know is that every time I have made my way to the beach, within minutes you get that feeling you are being checked out. The last time I went there to swim and tan, I easily spotted a couple of guys who kept looking my way and the next thing I know we were chatting one another up and made plans to hit a couple of nightclubs in Nice later that night. So at least the beach isn’t cliquey and people seem to be very friendly with each other. It’s an absolutely stunning location with majestic villas perched precariously on the edges of cliffs overlooking the sea, who couldn’t be anything but happy being there? On the Mala footpath, people seem to take their time, enjoying their walk or jog, and nodding a pleasant “Bonjour!” as they pass you by. There are even a few beach side restaurants at Mala Beach itself and near the train station at the sea for you to take a break and get something to eat and drink. It’s also just as easy to bring a picnic lunch and find a spot along the coastal footpath to take in the afternoon sun and relax. If you are deciding to continue on to Monaco, it will be obvious to know when you are almost there as you will start to see some of the luxury condominium blocks in Fontvieille in the distance and shortly you will arrive at Plage Marquet just a few blocks west of the border with Monaco at Fontvielle, which gives you another great little beach to check out after your walk. 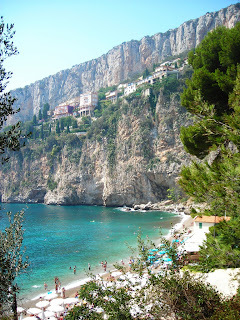 Personally, I find Cap d’Ail and Plage Mala lovely places to visit any time of year!